By Christa T. for Accordion Americana Kate Dunphy brings to music a skill set envied by many, but possessed by few. She is a gifted musician and performer and an emerging young composer and arranger. Kate is not only reviving the accordion but, reinventing it. 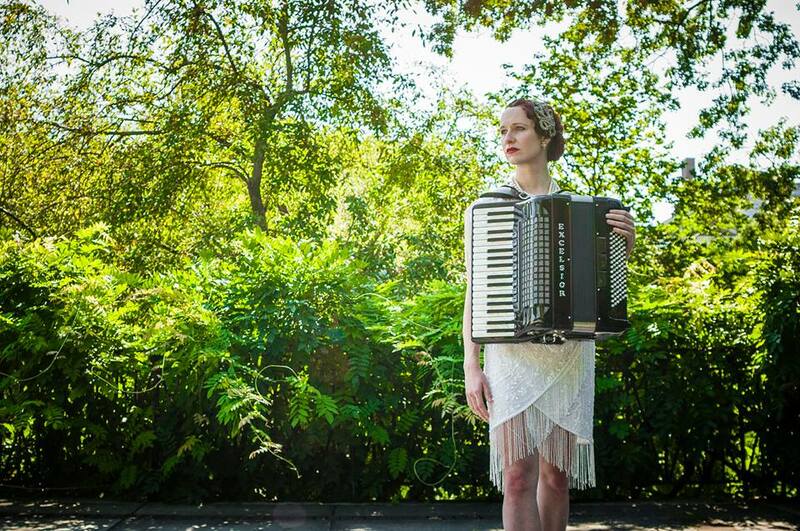 With her artistic vision, she is also changing perceptions by allowing us to see that the accordion can be used to inspire new and different music in America. Kate Dunphy began to study the accordion at a later age. An accomplished multi-instrumentalist, beginning the study of piano at the age of four, it wasn’t until her last year of music school that Kate received an accordion as a gift from her father. In 2007, Kate graduated from Hartt School of Music in West Hartford, Connecticut, with her B.A. in Music Composition and also earned the composition prize, the prestigious Edward Diamante Award. Determined to be a professional musician and composer, she relocated from her home state of Maine, to New York City, settling in the borough of Brooklyn. Since then, Kate Dunphy has composed many original works for the accordion, performing those with several different groups, independently and also with her previous world music project, Loukoum. Her original compositions are beautifully wrought, and range from the haunting and complex, Tire Iron to the charming French musette of L’Oiseau en Bois. 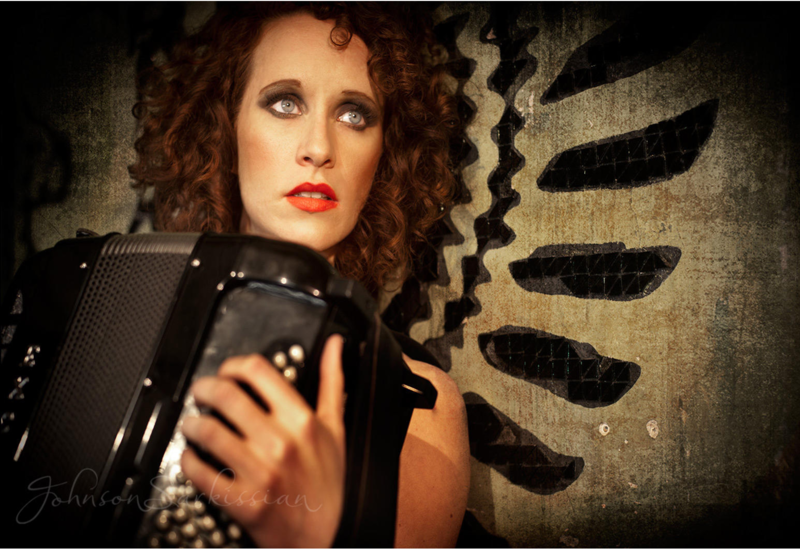 The forceful, passionate, Tango highlights Kate’s proficiency as an accordionist and as a composer. Ruby Road, with its Celtic moodiness, imparts a sense of magic and madness. Kate Dunphy has appeared at international events, such as The U.S. Open and Instyle Magazine‘s Anniversary Gala in Mexico City. She has performed for the Royal Family of Kuwait and for many celebrities such as Martha Steward, Vera Wang, Tyra Banks, Oscar de la Renta, Christina Hendricks and others. 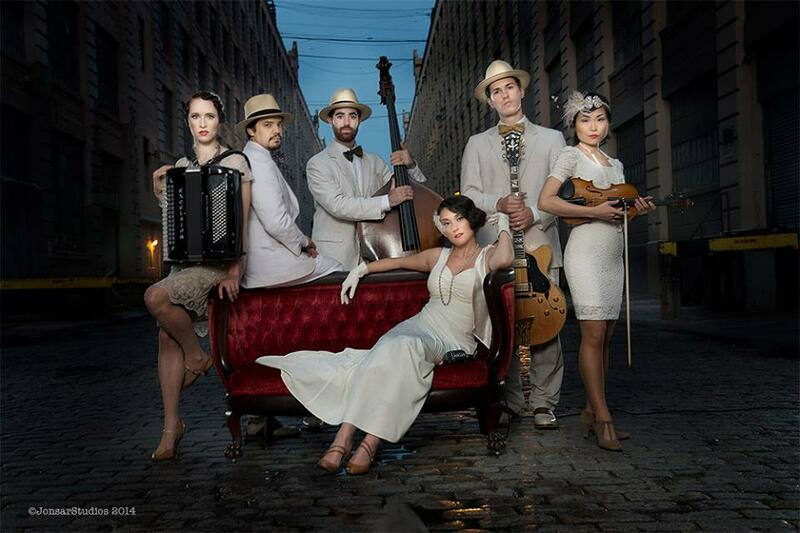 Along with Loukoum, Kate has also performed with Avalon Jazz Band and Postmodern Jukebox. Her current project, Carte Blanche Jazz Band has recently released a new EP, Back To Henri, and features 5 original tracks that Kate wrote for the band. Carte Blanche recently released their first music video for this EP in August, 2014 and features her composition, C’estJuste Un Tango. Post Modern Jukebox and Kate Dunphy perform a delightful, Klezmer cover of Jason Derulo’s Talk Dirty. The bright, fresh interpretation by Avalon Jazz Band, with Kate Dunphy, Accordionist. I love Kate Dunphy and I wish there were more places and resources to see her! Thanks for the article.